flowing movement practices to draw energy from the world around us - to counteract fatigue and boost our immune system. Through his popular training programs and PBS appearances, Lee Holden has emerged as one of today's most accessible and accomplished teachers of qi gong in the West. 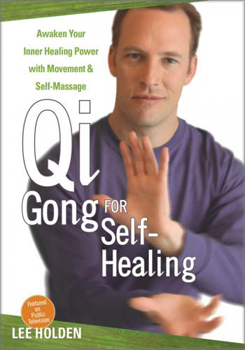 On Qi Gong for Self-Healing, he presents easy-to-learn practices that will help viewers to relieve pain, clear stress and tension, and harness the body's unequaled capacity for self-restoration. Includes a 40-page illustrated study guide.